Accenture Federal Services LLC (Accenture), located in Reston, has agreed to pay $1,744,559 to settle overcharges billed to a General Services Administration multiple award schedule contract. The resolution follows from a disclosure by the company to the U.S. Army Contracting Command, which arose out of an internal investigation conducted by Accenture. Accenture reported to the government that overcharges had been caused by unauthorized purchases of copy toner that had been surreptitiously made by a subcontractor on the contract. The disclosure by Accenture to the Army was made pursuant to the Contractor Code of Business Ethics and Conduct under the Federal Acquisition Regulations (FAR). Accenture provided assistance during the government’s investigation. 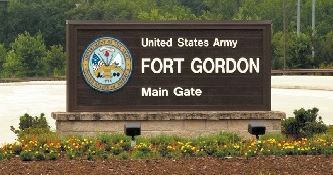 The resolution obtained in this matter was the result of a coordinated effort between the U.S. Attorney’s Office for the Eastern District of Virginia and the Army Criminal Investigation Command. The civil claims settled are allegations only; there has been no determination of civil liability. Most people picture high stakes civil litigation taking place in a courtroom where a party has the chance to persuade a judge or jury to validate or reject huge claims for damages. Law enforcement is questioning this former worker under oath, on the record, about claims against a company in a sealed complaint. And this testimony could lead to treble damages. The company doesn’t know about this meeting or even that there is a complaint against it. Welcome to the new front in high stakes False Claims Act litigation: civil investigative demands, or CIDs. While the second scenario is not necessarily common place — usually companies eventually learn about an investigation or a whistleblower lawsuit — it can, and does, happen. Use of CIDs in False Claims Act investigations is increasing and defense contractors need to recognize the risks and implement best practices in the event a CID is served on one of its employees.